Thank you so much! We'll miss seeing you there! Next time! 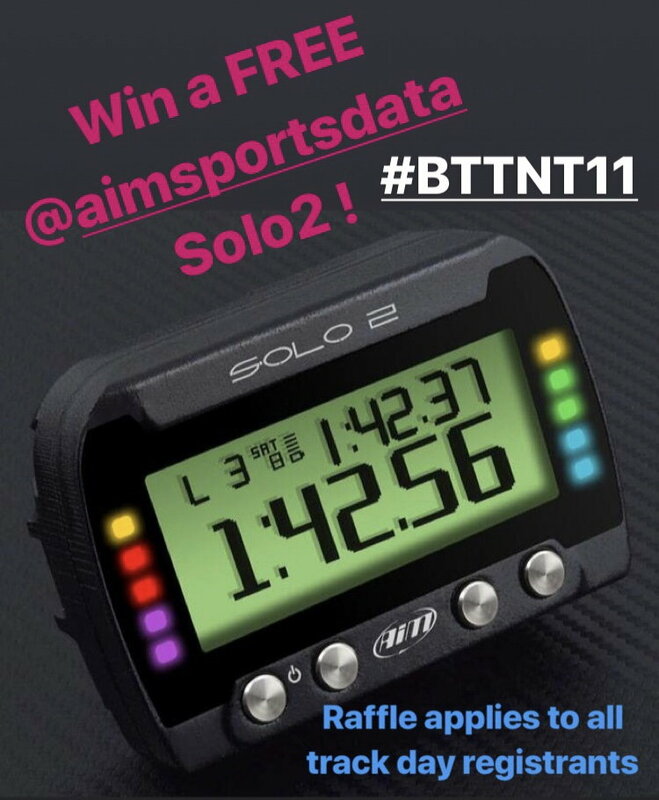 YOUR CHANCE TO WIN A FREE AIM SOLO2! Today we'd like to thank our sponsor AiM Sports, LLC. the world leader in data acquisition. AiM has so graciously donated a new SOLO2 datalogging device for us to raffle off at our event. All Blacktrax Test N Tune 11 registrants are qualified to WIN! Raffle will take place during our lunch break. Try your luck and join us at our track day Dec. 27th at Thunderhill Raceway! Zero track days here too, and I spend most of my time to concentrate on not being an idiot behind the wheel. I would like to join the newbie group or just hang out?